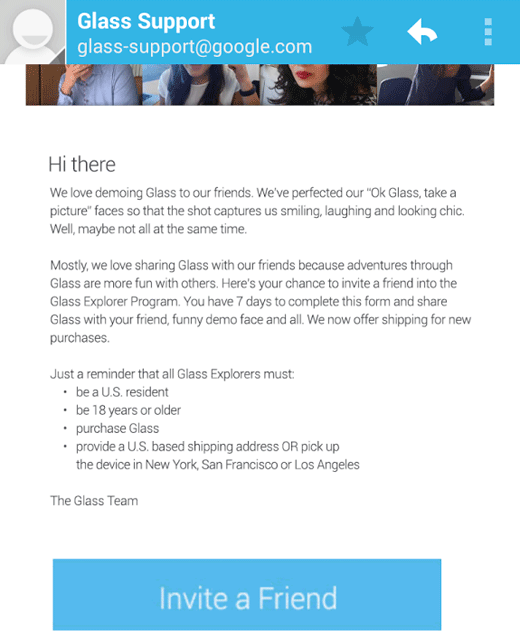 Back in late July, Google opened up to a select few Google Glass Explorers the ability to invite friends to purchase Google Glass. Very few Glass Explorers got it, I personally do not know anyone who got it. Well, those invites are opening up again. Sorry, you are out of luck, I didn't get one this time either and if I did, I bet most of you would want the single invite I would have received. The big question Glass Explorers need to ask themselves is, who would you invite if you got the invite.